Mobile application management is very important for enterprises as it helps in managing & controlling various business services developed for BYOD smartphones & tablets. Many security risks are identified with BYOD like loss of device or Malicious Apps intended for data leaks. Read more to know about the obstacles an enterprise mobile application management has to pass through. With evolving technology, mobile devices have become a prime focus for businesses as well as employees. Today, both are more or less dependent on the mobile & tablet devices for their daily operations. Enterprises have also started adopting the BYOD (Bring Your Own Device) policy, which is slowly bringing into notice the various security risks that enterprises face. Until the age of web browsers, security was much simpler, by encrypting the disk drive with the business data, adding a password for access, and using a VPN. However, with mobile devices in the picture, security of enterprise data becomes much more difficult. The apps on a mobile device stores the enterprise’s application logic and data. Furthermore, mobile devices can be either lost or stolen, used amongst friends and family, fall prey to buggy apps that may leak data or jailbroken which could compromise your enterprise data. Hence, this indicates that use of mobile devices demands use of strong mobile app management, control and security in comparison to that of web browsers. Enterprise mobile application management helps to build the necessary control, enforce policies, and security in each of the apps used by the employees. The first step towards managing various business apps is to log all the mobile apps that are used. You need to then confirm whether they are in adherence with your internal regulations, check its user interface, privacy settings and any risky behaviors. Enterprise mobile app management is not an easy task and there may be many hurdles that your organization may have to look out for. 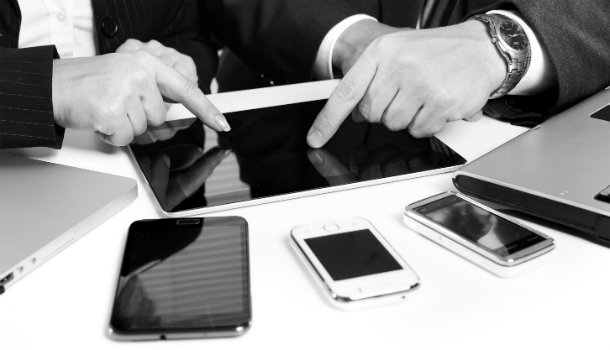 Consumerization of mobile devices world over has led enterprises to adopt BYOD or a hybrid of corporate-employee owned devices. However, this has led to a rise in several security issues with respect to enterprise data. With mobile app management, this security issue can be handled quite easily by using containerization. Organizations can wrap internal applications in secure containers, which enable data loss prevention. Containerization of apps can be carried out through multi platform mobile app development environments such as Adobe PhoneGap and IBM Worklight. Enterprises can take the help of cross platform app development company to develop internal applications that are customized as per the business initiatives and employee roles, helping in improving the productivity. However, for enterprise mobile application management, it is important that developers build secure internal apps for the business. To ensure that the apps built are secure, they can make use of tools such as app wrapping, app software development kit (SDK) and development workflow. Enterprise App Store is a place where organizations can store their internal apps, based on an employee’s role, group membership and business process with the help of a customizable app catalog. However, this can prove to be a risk if the store is not secure. Organizations can integrate public app stores and external app repositories to link public apps and access internal files. Administrators, for enterprise mobile application management, can also streamline purchase, management and distribution of apps. Employees access data through their mobile apps, which can be a threat to enterprise data if not done in a systematic manner. Organizations can allow a single secure connection with corporate systems that exists behind the firewall, without the need of a VPN. A secure connection can then be built between the app and enterprise system. Enterprises mainly adopt Mobile Application Management for security of data from the apps used by employees. For application security, organizations can adopt advanced user authentication options, and create app whitelists, blacklists and compliance policies. They can restrict access to applications that are already installed on the device such as Bluetooth or camera and can disable access to the public app stores. Through enterprise mobile application management, organizations can implement a lockdown system, which allows employees to access only specific apps and settings as configured by the administrator as well. Mobile app management also allows organizations to scan applications for detecting violation of privacy, risky behaviors and perform customized programming for detecting unsecure protocols to post data through the app. There are many misconceptions about data security of enterprises mobile applications in BYOD environment, You can read about these in our previous blogpost BYOD mobile security myths. 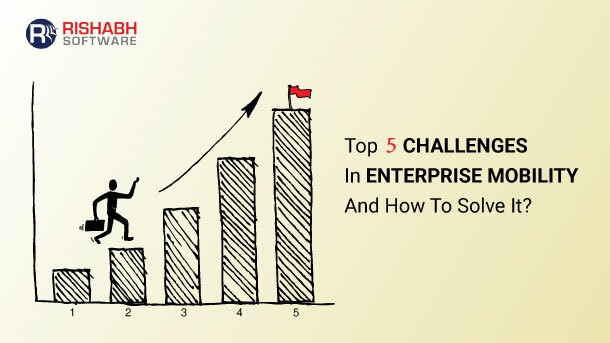 Rishabh Software understands the importance of secure management of applications for enterprises and uses the best practices in the industry to protect the enterprise’s data. For more information on our enterprise mobile app development services, talk to our experts at 1-877-RISHABH (1-877-747-4224) or fill in the contact form here.